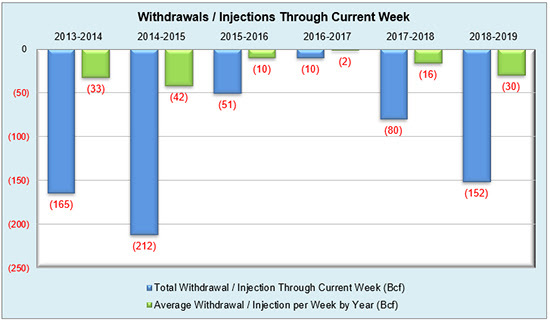 The market consensus for this week’s storage report hit the nail on the head with a 63 Bcf withdrawal that outpaced last year’s 3 Bcf pull and the five-year average draw of 58 Bcf. 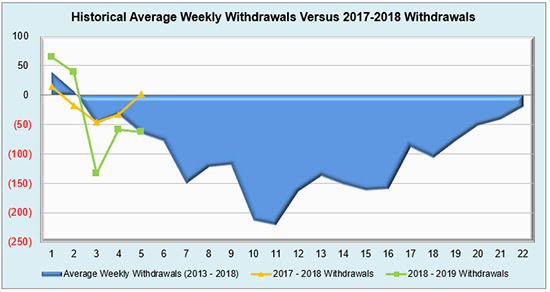 Easing of colder weather patterns gave the recently bullish market a much need break, and the past two weeks have seen mostly sideways trading, albeit with a wider-than-usual amplitude of 10 cent swings most days. 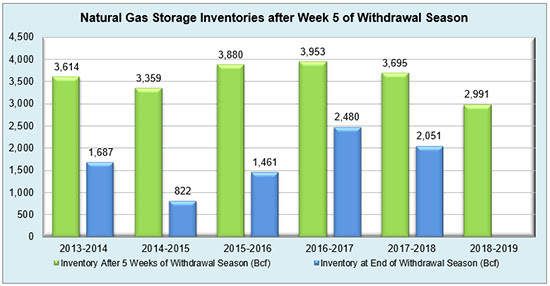 Key takeaways from winter so far are (of course) low storage inventories that will possibly cause issues at the end of the refill season, potential freeze offs in highly fuel constrained regions such as ISO-NE, and production’s continual presence as downward pressure on the market. 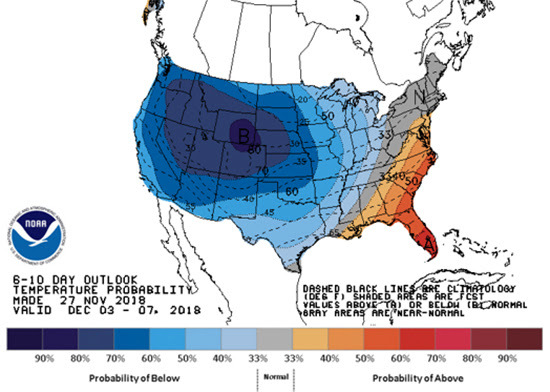 On the power side, notable hubs in ERCOT and ISO-NE are seeing higher rates lately due to the current cooler weather patterns in their respective regions as well. The Houston and North hubs are up over $10/MWh since last year, and ISO-NE Internal is nearly $30/MWh higher than last year. 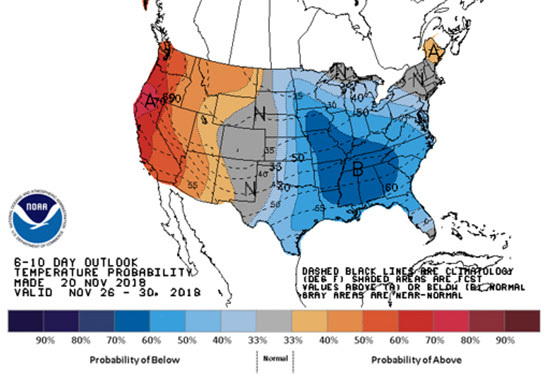 All things considered, there have been multiple tests on reliability and strength of the market already this winter, but it doesn’t seem to be slowing down anytime soon. 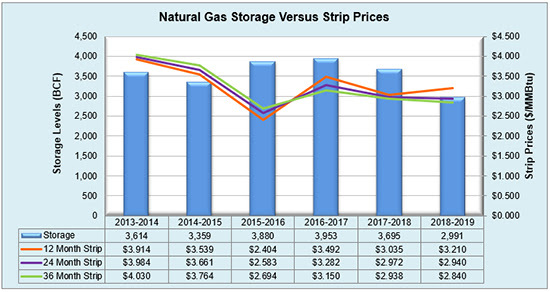 Working natural gas in storage currently stands at 2,991 Bcf, which is 704 Bcf (19.1%) lower than this time last year and 725 Bcf (19.5%) lower than the five-year average. The January 2019 NYMEX Futures price began the day around $4.45/MMBtu prior to the report’s release, but has since slightly risen to $4.46/MMBtu after the report was posted.